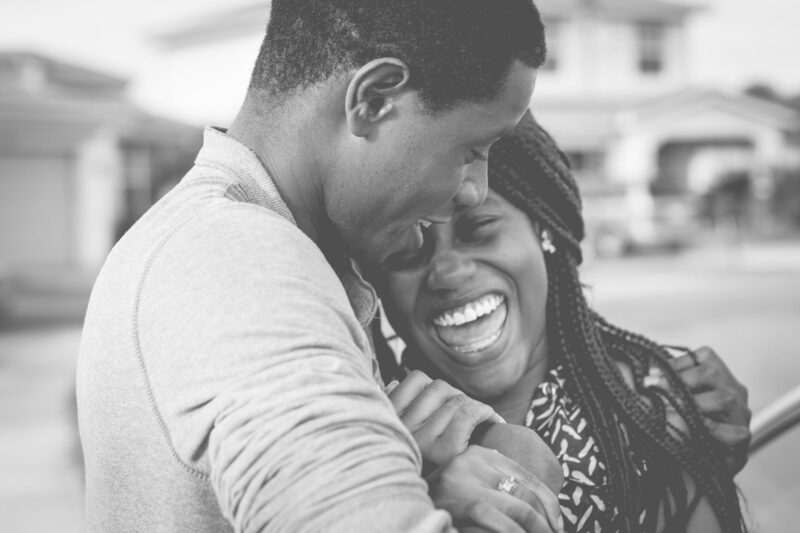 Repeatedly we’ve reminded you of the scripture verse that says, “Laughter is as good medicine.” And that’s especially true for our marriages. You can sometimes get overly serious in life when you forget to look for humor in situation. But laughter is a simple remedy that sure helps. With some of the trials we are going through, this Marriage Message is something we need. We’re looking for ways to find our smile and laugh again. There is a time to mourn, but there is also a time to laugh, and this seems like a good one. We realize that some of you are living in situations that make it all the more difficult to think of laughing. But we’ve found those are times when you need to look all the harder for things to laugh about together. There’s something about laughing together that brings a new perspective into things. In the book, The Love List Les and Leslie recommend eight things you can do to help your marriage become the best it can be. They list two things you can do once a day, which is: “Take time to touch” (if only for a minute) and “Find something that makes you both laugh.” (They further explain in the book the importance of both of these actions). They recommend you “Do something active that lifts your spirits” and also once a week you “boost your partner’s self-esteem.” That doesn’t mean that you can’t do it more often. As a matter of fact, that would be a great idea. But at least aim for it to be something you do weekly. “Rid yourselves of harmful residue” and also “fire up passion in the bedroom.” Again, all of this can be done more often than that. But for some of you, even that will stretch you. “Review your top ten highlights” of the year and also “chart your course for the coming year.” It’s a great little book with helpful ideas to do all of these things. We also have a lot of helpful articles and recommended resources on our web site that can help you with all of this. But for now, we’d like to help you with your daily laughter “quota.” The following may or may not be funny to you (although we hope it is). We realize everyone laughs at different things. But read the following that was sent to us and see if it doesn’t tickle your funny bone a bit. And then share it with your spouse. Hopefully, it will cause you to laugh together and deepen your bond together. 1. Avoid cutting yourself slicing vegetables by getting someone else to hold while you chop. 2. Avoid arguments with the Mrs. about lifting the toilet seat by using the sink. 3. A mouse trap, placed on top of your alarm clock, will prevent you from rolling over and going back to sleep after you hit the snooze button. 4. If you have a bad cough, take a large dose of laxatives, then you will be afraid to cough. 5. You only need two tools in life —WD-40 and Duct Tape. If it doesn’t move and should, use the WD-40. If it shouldn’t move and does, use the duct tape. 6. Remember: Everyone seems normal until you get to know them. 7. The good Lord didn’t create anything without a purpose, but mosquitoes come close. Our prayer is that you laugh together (even through your tears) and experience the joy of the Lord in this day within your marriage. (SA) MEN MUST NOT ABUSE WOMEN BECAUSE WITHOUT WOMEN THE WORLD IS NOTHING. (US) You certainly have some agreeable opinions and views. Your blog provides a fresh look at the subject. (US) I’ve been visiting your blog for a while now and I always find a gem in your new posts. Thanks for sharing. (UNITED STATES) All inside of us joggs when we laugh? Hmm? That is a nice one.